New Skills in English is a new multi-level course that prepares students for entry into English-medium study. Rather than focusing on exam preparation, New Skills in English teaches necessary skills as part of a systematic programme of language development. The course builds the skills required for lectures, tutorials, reading research and written assignments in English. By Terry Phillips and Anna Phillips with Nicholas Regan Level: Int..
By Terry Phillips and Anna Phillips Level: Intermediate CEF: B1 IELTS..
By Terry Phillips and Anna Phillips Do you need English in your studies? 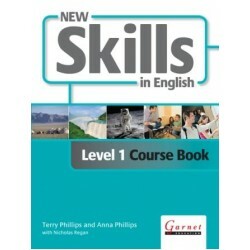 The..
By Terry Phillips and Anna Phillips Do you need English in your studies?..